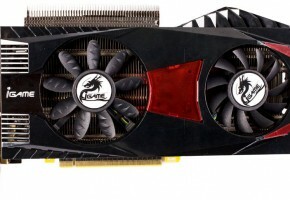 It looks like EVGA isn’t waiting for GeForce GTX 590, and is releasing its own dual-GPU graphics card to challenge Radeon HD 6990. 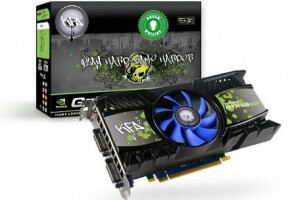 Being released about 12 days ahead of GTX 590, EVGA’s new GeForce GTX 460 2WIN could be a tad bit late to the market, considering it was first shown to the world back in January, at this year’s CES event. 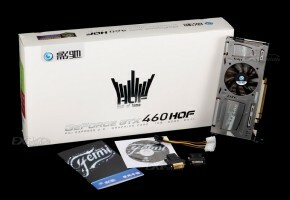 The EVGA GTX 460 2WIN is a dual-GPU graphics card that uses two GeForce GTX 460 GPUs with 1 GB of memory each, for an SLI on a stick solution. 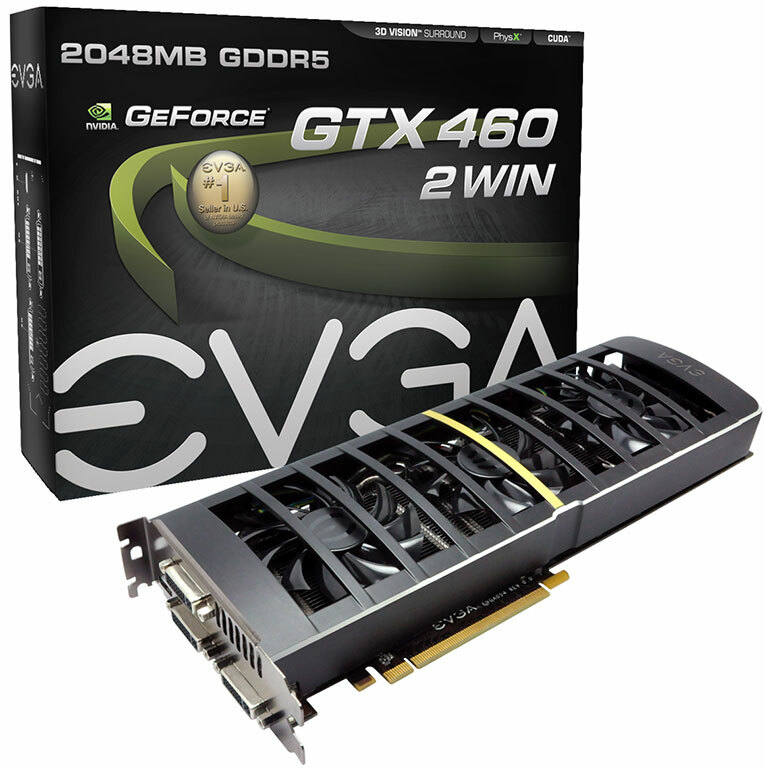 The EVGA GTX 460 2WIN (2WIN sounds like “twin”), uses clock speeds of 700 MHz core, and 900 MHz (3600 MHz GDDR5 effective) memory. Each GF104 chip has 336 CUDA cores enabled, totaling the CUDA core count to 672. 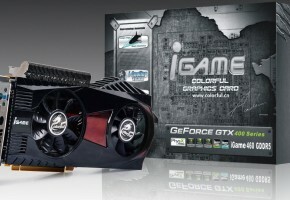 The card is cooled by an in-house cooler by EVGA, it uses a large heatsink that is ventilated by three 80 mm fans. Power is drawn from two 8-pin PCI-E power connectors. 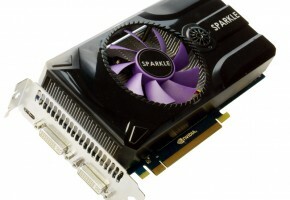 Display outputs include three DVI and one mini-HDMI, you can run a 3-display NVIDIA 3D Vision Surround setup with just one of these cards, without needing a second one.